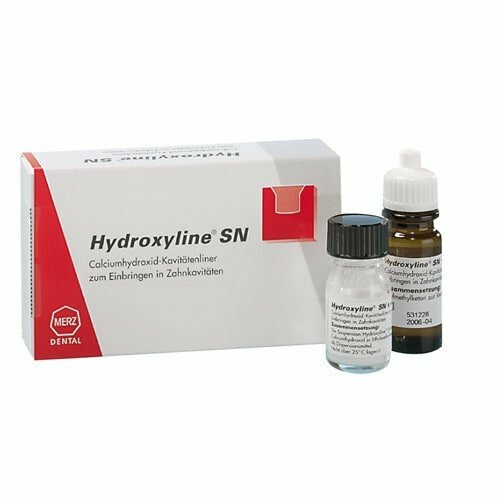 Hydroxyline SN is a calcium hydroxide-based cavity liner and is suitable for protecting pulp prior to the use of the enamel etching technique and with flat cavities. The ready-to-use suspension can also be used for desensitisation and to protect freshly prepared teeth or as a medicated base beneath amalgam, cement and plastic fillings. Fast drying within seconds without an air syringe is a particular advantage, especially with sensitive cavities.